1. What is First Global MoneyLink? 2. What can you do at a First Global MoneyLink? 3. What do I need to open an account? 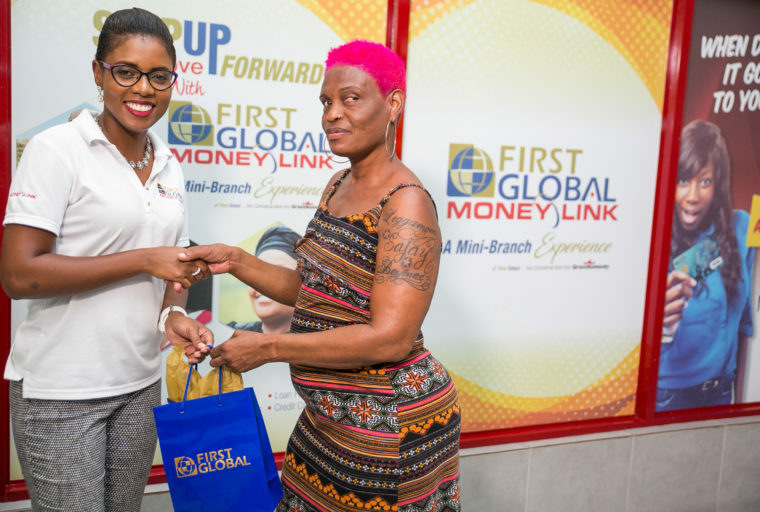 Opening an account with First Global MoneyLink is as easy as 1-2-3! 4. How do I reach FG MoneyLink if I have a question? 5. I do not pay any bills, how will I be able to provide Proof of Address (POA)? Have a JP write a letter verifying your address and how long you live at the premises and the JP could also say something about your character. In this way you have POA and a Reference Letter. OR The team could advise the prospect to pick up an “Address Verification Form” take it to the JP who would complete it and stamp it. Another option is to have another person who is paying bills and who lives at the same premises write on the bill itself to say for e.g.” John Brown lives at this address” then have them affix their signature. It would be good to have them send along their ID for signature verification (although it is not mandatory for them to send their ID). 6. I do not have a Pay slip or Job Letter, how will I be able to provide Proof of Income (POI)? If you collect funds from any remittance outlet, the advice/receipt can now be used as proof of income. Therefore, Western Union receipts are now accepted. 7. As it relates to references, do I need to have the JP or Pastor write a letter? No, only the “Name” and “Telephone Number” of the reference are required. 8. Can I access my account at other branches if I open an account at the MoneyLink location? Yes, your account will be accessible across the branch network with branches located in Kingston, Montego Bay, Ocho Rios and Mandeville. 9. Do I get a card when I open the account? Yes, upon opening an account with us, you will be provided with the FGB Visa Debit Card that can be used to make purchases at the Point of Sale or online as well as at the ATM (to withdraw cash). 10. Do you give loans and credit cards? Yes we do, you can come in and speak with our Business Development Officer who will be able to assist you better.